Lily is four years old and has an undiagnosed learning disability along with epilepsy and Caroline is learning how to cope with this, on a day to day basis. Her marriage has crumbled, her husband, Peter, has filed for divorce and her future seems uncertain. Until she meets a handsome stranger in the hospital coffee shop and suddenly there is light at the end of the tunnel. This novel started with the details of Lily illness and the lead up to the disintegration of Caroline and Peter's marriage. Support comes from Caroline's friend, Max, who I would have liked to have read more about. He was a great character and yet the author brushes him aside the moment Caroline meets her stranger. This is a shame as he seemed to have more substance than the new guy. Peter, the ex-husband, does not really get a look in either and the reader has no idea how he feels about the whole break up or even what he does on a daily basis. The lack of physical descriptions also make it hard to connect with the individual characters, especially Lily. We learn very little about her as a person, only as a victim of her illness. There is very little dialogue between herself and her mother so the relationship is also hard to picture. 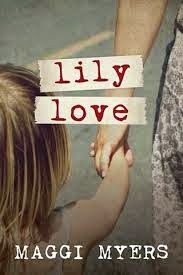 I think the author has written a love story, with Lily being a side effect. However, I believe had she approaches it from another angle, giving Lily more attention, and less on the over-described, inner voice of a woman falling in love, at breakneck speed, this could have been a very different novel. Overall, not a bad book, but could have been so much more appealing, to me, with more focus on Lily and Peter and less on new love. The writing was full of great descriptive passages, but they were a bit repetitive. Looking at other reviews, other readers have really like this book so please read their reviews to get a balanced viewpoint. I would like to mention the cover as an afterthought. Just stunning.